Spotify now on Amazon Echo wireless speaker | What Hi-Fi? The update means you can now play Spotify tracks through Amazon’s speaker and use your voice to control the music played. Only Spotify Premium subscribers can make use of the new feature, and the speaker itself is still only available in the US. But if you do manage to get your hands on one, you can ask Alexa (Amazon’s virtual assistant) to play any playlist, artist or from Spotify’s extensive catalogue. The Echo speaker also supports Spotify Connect, so it can be selected from a list of available devices within the Spotify app. Amazon’s wireless speaker can also stream from Amazon Music, Prime Music, iHeartRadio, Pandora and TuneIn radio, all with Alexa voice-controlled support. It also has Bluetooth built in, so you can stream music from other services too. 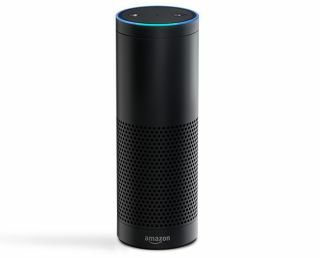 Echo is available in the US now for $180, with no word yet on a UK release date. Amazon has also announced that the original Fire TV can now be updated to Android 5.1 Lollipop, which also brings Amazon Alexa voice-controlled search capabilities. The Fire TV Stick will also get the update at a later date.